To help you plan your New Zealand trip I wrote this detailed post about the 6 week road trip trip I made around the North and South Island. For each day I list the itinerary, campsites and highlights, you can find them in the map below as well. Even if you have less time available to explore Kiwi Country, I hope my self drive itinerary will inspire you and help you plan your visit to New Zealand. You can customize this itinerary, make it shorter or travel just the North or South Island. My advice? Don’t try to squeeze in too much, the last think you want is to feel rushed! Because one of the best things about New Zealand is being able to stay a little bit longer at that perfect secluded spot you found… Anyway, I digress, let’s get to my 6-week New Zealand itinerary! 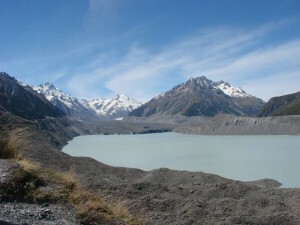 Aotearoa (the Maori name for New Zealand, meaning land of the long white cloud) can be an expensive destination but it is definitely possible to travel New Zealand on a budget. Check out a detailed breakdown of our New Zealand travel budget and read how to save money on your NZ road trip. I traveled together with my husband; we started our trip in Christchurch and ended it in Auckland. We hired a camper van, enabling us to explore New Zealand at our own pace and via our preferred itinerary. Check out my ultimate guide to renting a campervan to find out more about the costs and other tips regarding vanlife. New Zealand is beautiful any time of the year, however, when you want to go camping it’s best to travel between October and April. We traveled New Zealand in January and February which is the New Zealand summer. While temperatures are the highest during this period, so are the crowds and thus prices. Even though we never had any issues finding a camp spot and it was in no way busy anywhere, I would probably travel either in late Spring (October/November) or early Fall (March/April) if I were to visit New Zealand again. Keep in mind the climate of the North Island differs from the South Island. Plus it can be cold at night, even in summer. We woke up one morning to discover fresh snow on The Remarkables so make sure you are well prepared (bring layers!). 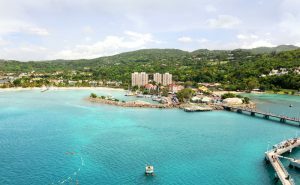 Check out my packing list for a RTW trip. Camping in New Zealand is great and there are lots of options (free and paid) available. The most important thing to do before parking your van somewhere for the night: check if it’s allowed! Because lots of tourists travel to New Zealand (and unfortunately not everybody behaves like they should) the government has put stricter camping regulations in place and those not obeying the regulations risk a 200 NZD fine. You can find all the campsites we stayed at in this post with a short description of every campsite. Practical information: Bus number 29 – Airport to City via Fendalton costs 8NZD per person and departs every 30 minutes. • Christchurch city center: it was nice to see that the city center was rebuilt (after the earthquake of 2011) in a very creative way. Because it was summer holiday the city center was completely empty! • Scenic drive over Summit Road: a beautiful winding road offering great views of the bay. 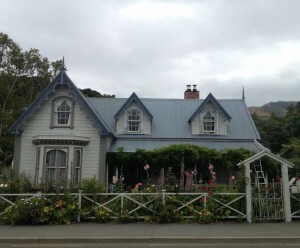 • Akaroa: a cute historic village (founded by French settlers in 1840!) with beautiful colonial houses. • Hiking in Peel Forest: lots of tracks to choose from, I did the ‘Big Tree Walk’ which lead to a huge Totara tree of 8,4 meter wide, the ‘Acland Falls track’ which took me to a mystic looking waterfall and the ‘Kahikatea walk’ leading me through a swamp forest. Read more about these hike here. • Lake Tekapo: the drive to the lake (coming from Geraldine) is already stunning because of the snowy Southern Alps on the background. But Lake Tekapo is just out of this world. The beautiful blue color is something that you cannot catch on a photo and the surroundings are breathtaking. I loved this place, it was one of my favorite places of our entire trip. • Church of the Good Shepherd: I don’t think there is a church anywhere in the world located on a spot more beautiful than this one. If you don’t believe in God, the view from the church might just persuade you. • Stargazing at Lake McGregor: the area around Lake Tekapo is part of a UNESCO Dark Sky Reserve. I have never seen so many stars, it was incredible. 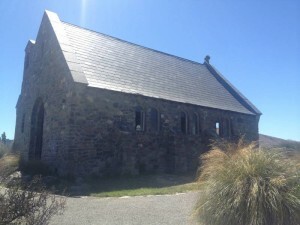 • Hiking the Mt John track via lakeshore: three hour walk with a fantastic view over Lake Tekapo. There is a nice cafe at the top of Mt. John. • Lake Pukaki and scenic road to Mount Cook: beautiful view over Lake Pukaki with Mount Cook, the tallest mountain of New Zealand, in the background. 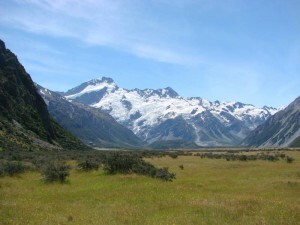 The 50km road to Mount Cook is a stunning drive, definitely worthwhile! • Elephant Rocks: such crazy rock formations in the middle of farmland. I can totally understand why this landscape is used in the Narnia movies! 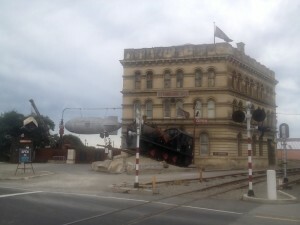 • Oamaru city center: I really liked this village with its steam punk art and historic buildings from 1860-1880. 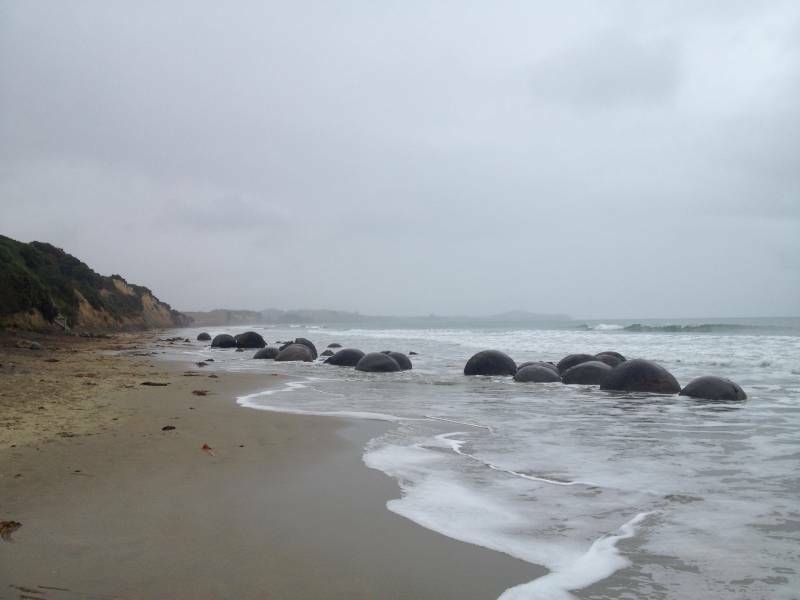 • Moeraki Boulders: crazy rocks, some of the boulders are up to 3 meters in diameter! • Dunedin city center: Dunedin is the student city of New Zealand and is also known as ‘The Edinburgh of the South’. I visited Edinburgh and can honestly say that might be pushing it, but it is a nice city nonetheless! 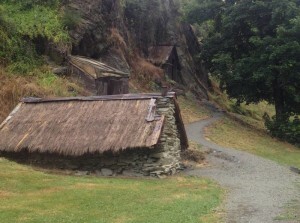 I visited the Toitu Otago Settlers museum and learned a lot about the history of this part of New Zealand. • Hiking at Sandfly Bay: a nice walk starting at the end of Seal Point Road and going down to the beach where lots of seals are chilling out. Sandfly bay is named after the fine sand being blown into the air by the hard wind, forming impressive dunes. • Southern Scenic Route part 1: you have to drive this awesome road! Get the free ‘Southern Scenic Route Guide’’ and ‘Guide to the Catlins’ at an i-Site, these leaflets contain information about all the highlights in the region (there are a lot!). • Nugget Point: impressive land tongue with a cute lighthouse at the end from where you have a stunning view over the rough ‘nuggets’ rising from the sea. I felt like I was at the end of the world. • Seeing seals, baby fur seals, a sea lion, two yellow eyed penguins and a dolphin in one day! • Hike to Jack’s Blowhole: a very strange 55 meter deep hole, 200 meter from the sea. Sea water flows to the hole through an underground tunnel and pounds against the sides with deep thundering sounds. Impressive! • Surat Bay: short hike, seen another seal chilling on the beach but unfortunately no sea lions for which this bay is famous. • Purakaunui Falls: beautiful falls, apparently one of the most photographed waterfalls of New Zealand. • Cathedral Cave: read more. • Southern Scenic Route part 2: another day on the Southern Scenic route. And scenic it most definitely is. Winding its way through the dense forest while offering stunning ocean views every other corner, fantastic! 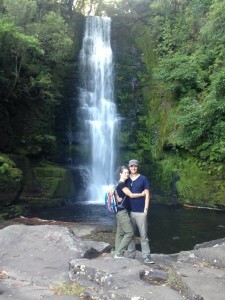 • Hike to McLean Falls: a half an hour hike to one of my favorite falls in New Zealand. I don’t know why exactly I loved McLean Falls so much, I guess I was just really happy that day (I was extremely happy the entire time I was in New Zealand;-). The sun was shining, there was no one around (ok, except that other couple who took our picture), nature was beautiful, life in general was pretty good. • View over Curio Bay: stunning skies. I don’t think I need to say more. On the tiny, tiny downside: we did not see any Hector Dolphins who frequent this bay. • Slope Point: the Southernmost post of New Zealand (not counting Steward Island) and the southernmost point I have ever been in my life. • Southern Scenic Route part 3: the last part of the Southern Scenic route. There are so many beautiful roads in New Zealand, but this was definitely one of my favorites. It just feels so remote… And there are gorgeous and really varied sightseeing spots every couple of kilometers. • Scenic drive on Milford Sound Road: the road from Te Anau to the Milford Sound is absolutely breathtaking… There are many stops along the way so take your time! • Mirror Lakes: the wind is too hard to be able to see the famous mirroring effect but still very pretty lakes! • Cruise in the Milford Sound: stunning, absolutely stunning. Read more here. • The Chasm: it’s raining (like it does 182 days a year in the Milford Sound, so no surprises there) but that makes the Chasm all the more impressive because of the massive amount of water flowing below a natural bridge. • Drive over the Devil’s Staircase: excellent road with lots of twists and turns, hence the name. Drive carefully! • Queenstown city center: I think Queenstown is probably the most enviable city in the world. Next to Lake Wakatipu, with the Remarkables in the backdrop. The city center has all the facilities you need but is small enough not to feel like a big city. And home to all kinds of extreme sports off course. We didn’t do any though, no, we went hiking (yes, again;–). But next time… I would love to go skydiving! • Hike around Moke Lake: one of my favorite walks because the surroundings were stunning (as usual…New Zealand is so incredibly pretty) and we did not come across anyone else during the entire hike of 1,5hours. 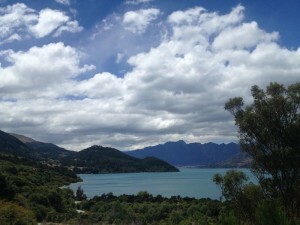 • Scenic drive over the Crown Range Road: from Arrowtown we took the Crown Range Road to Wanaka. A turning and twisting road leading to a 1076 meter high pass,crossing the Cardona river 11 times! Fun Lonely Planet fact: the Crown Range Road is the highest sealed road in New Zealand! • Beer tasting and tour Wanaka Beerworks: good beer! Read more. • Hike around Lake Matheson: a mirror picture! • Hike to Franz Josef Glacier: a 40 minute hike. Though we cannot get as close to the glacier as to the Fox glacier yesterday, we constantly hear rocks falling and see ice chucks breaking off. The glacier is on the move! • Eating a MASSIVE Cookie and Cream Cheesecake at 88 Asian Fusion Restaurant & Lounge Bar. I am actually relieved I forgot to take a picture, it would be embarrassing to have visual evidence of the gigantic size of the cheesecake and me eating every last crumb. • Sunset point: what’s in the name… We witness a beautiful sunset. • Glowworm dell: in a small, dark and most dell hundreds of lights come alive one by one. The glowworms are like tiny stars and it’s a truly magical experience! 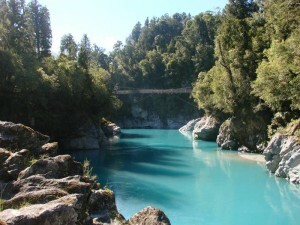 • Hokitika Gorge: another specular sight in stunning New Zealand. The glacier flour colors the water a vivid blue which contrasts with the bright white rocks, unbelievably pretty. 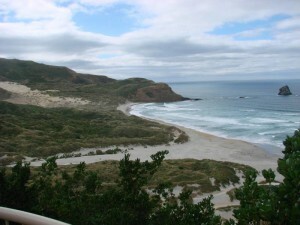 • Scenic drive over Great Coast Road: one of the most, if not the most, spectacular drives in New Zealand. Every bay is more beautiful than the last one. • Pancake Rocks: there are so many phenomenal places to visit in New Zealand and the Pancake Rocks are definitely one of them. Strange layered rocks shaped and sculpted by wind and ocean below a perfect blue sky. • Westport: a definite highlight was finding our little espresso maker! • Carters beach: too cold to swim but still a nice place to spend a couple of hours. • Hanmar Springs thermal pools and spa: blissful hot baths (read more). 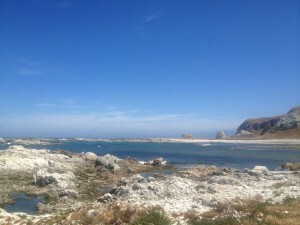 • Kaikoura Peninsula Walkway: nice three hour hike (the first hour is not that interesting, I suggest starting at the parking lot at Point Kean viewpoint instead of in the town itself) with beautiful views over the bay. • Scenic Queen Charlotte Drive: another gorgeous drive, 35 kilometers of twists and turns and beautiful bay views between Picton and Havelock. 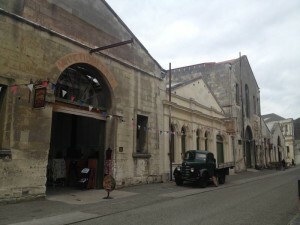 • Nelson Farmers Market: eating our way around the farmers market, jummie. • Nelson city center: I found Nelson a very relaxed city with a lively atmosphere and a couple of nice buildings. • Kayaking at the Abel Tasman park: awesome activity on a glorious sunny day, read more. • Hike around Farewell Spit: 12km hike over the beach and through the dunes. I have never seen so many different kinds of birds in a single day. • Pupu Springs: this was such an unexpected highlight and the most beautiful pool I have ever seen in my life. 14.000 liter of water per second bubbles from underground vents which creates a unique underwater environment and crystal clear water. Very, very beautiful. • Picton city center: I did not expect much of Picton; perhaps that is why it exceeded my expectations. There was a nice harbor, a boulevard and a park to relax in the sun. 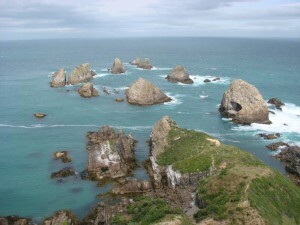 This was our last day on the South Island of New Zealand, we spent day 26-43 on the North Island. 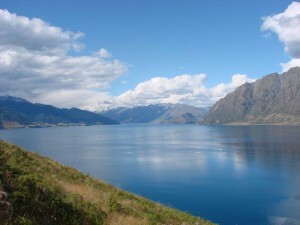 Also check out this 2 week South Island itinerary if you are short on time. • Cook Strait: crossing the Cook Strait is as much a necessity if you want to get to the Northern Island, as an activity in itself. The ferry sails through the Marlborough Sounds, which are very beautiful. Unfortunately, the weather is not great so we stayed inside most of the journey. • Te Papa museum: discovering more about New Zealand history, very interesting! • Te Papa museum: Te Papa means ‘container of treasures’ which is definitely true, I spent a day and a half in this museum and still hadn’t seen everything. 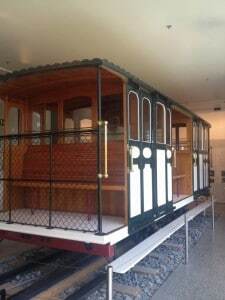 • Wellington Cable Car and Botanic Gardens: the famous red cable car takes us up to the top of a 120 meter high hill with beautiful views over the bay. We walk back down to the city through the Botanic Gardens. • Old Saint Paul’s: a church completely made of all kinds of New Zealand woods and build in just 9 months! • Weta Cave: being LOTR and movie fans in general, we decide to visit Weta Cave where they make all the costumes and design complete virtual words for LOTR, the Hobbit, Avatar, King Kong and many other blockbusters. 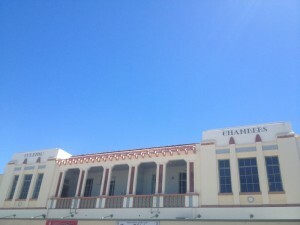 • Napier city center: very pretty town rebuild completely in Art Deco style after being destroyed completely by an earthquake in the 30’s. • Hasting evening market: dumplings, pizza and tortilla chicken wrap, delicious. • Huka Falls: nice hike to the Huka Falls, which is more a giant rapid than a waterfall, pretty spectacular. • Tongariro Crossing: you can read more about hiking the Tongariro crossing in this post. I will always remember this day as the day I climbed Mount Doom;-). 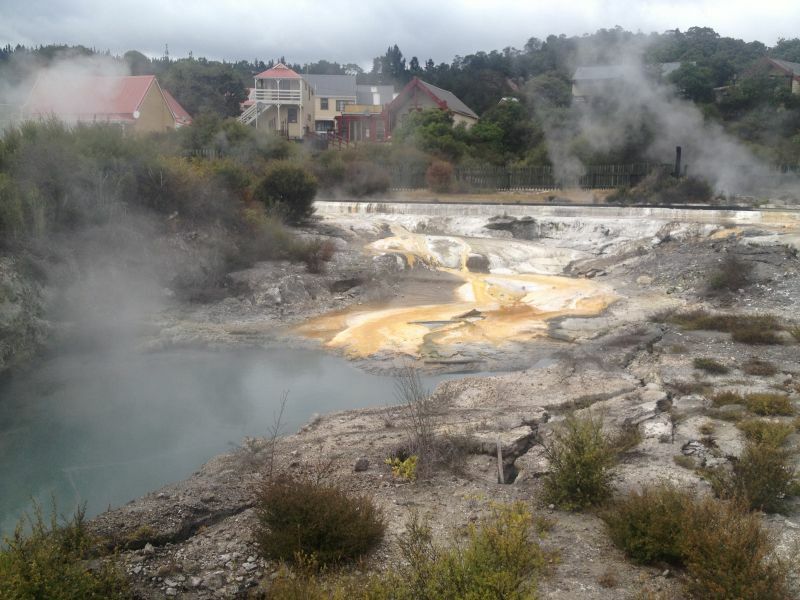 • Whakarewarewa thermal village: very interesting Maori village build around the hot pools and geysers. Read more. 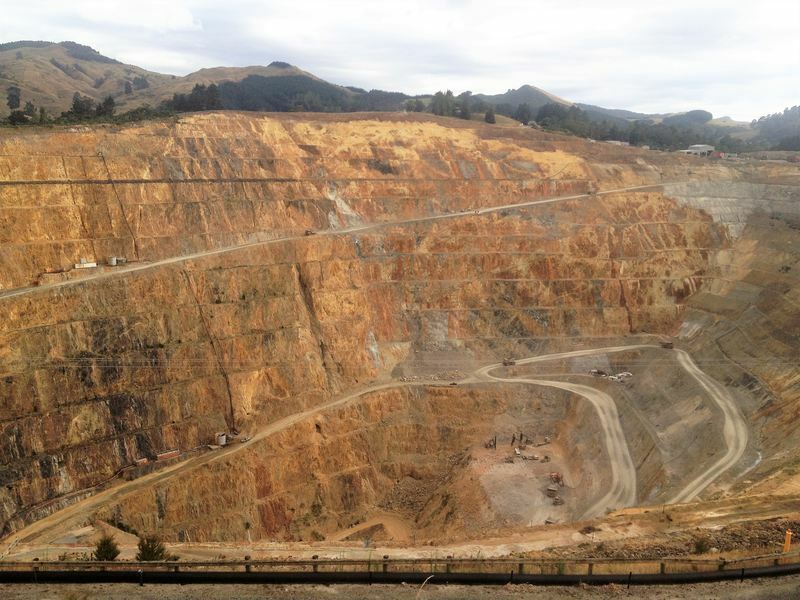 • Goldmine Waihi: I was thoroughly impressed by the sheer size of this mine! • Watching three episodes of our favorite show in the back of the van thanks to the free Wi-Fi from the library located behind our campsite. • Cathedral Cove: a 45 minute hike over the cliffs leads us to Cathedral Cove, an impressive natural bridge. The constant pounding of the ocean against the white rocks illustrates perfectly how this bridge was formed. • Scenic drive road 309: a famous gravel road crossing from the West side of Coromandel Peninsula to the East side. 21 kilometers of driving slowly and carefully while enjoying the beautiful surroundings. • Auckland city center: we do the Lonely Planet city walk and see some nice buildings, parks and the revamped boulevard with quirky cafes and art. • Dolphins cruise in the Bay of Islands: even though we don’t get to swim with the dolphins, it is still very impressive to see them swimming and jumping around the boat. Read more. 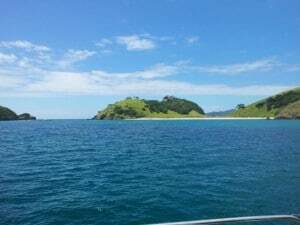 • Beach Karikari peninsula: we find our own private bay where we relax on the beach. • Mount Manaia: steep climb (400 meters!) but with a rewarding view from the top. • Drinking ice-cold Rekorderlig Passion Fruit Cider at Waipu hotel, which reminds me of London (where I lived for four months and have totally fallen in love with). 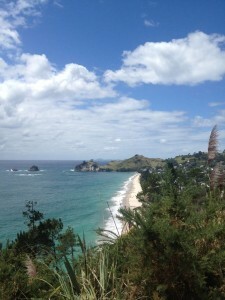 • Mangawhai Clifftop Walk: a brilliant hike with such varied landscapes: beach, hills, tropical looking forest and steeps cliffs. A good way to end our hiking adventures in New Zealand. • Handing in our beloved van and saying goodbye to New Zealand: I always have a hard time saying goodbye. And to say goodbye to the most beautiful country in the world was even harder… But no time to despair, because we went on to our next adventure in the Philippines! 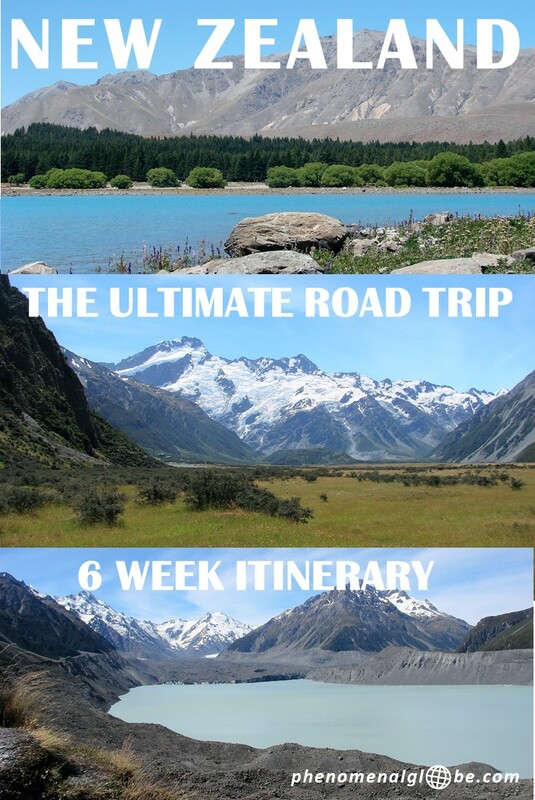 Inspired by my New Zealand road trip itinerary? Download it below! Want to read more about New Zealand? Check out this post about the 25 best things to do in New Zealand. Wow, what a great blog! Brought back many memories of NZ! But I was only there for 10 days. Maybe someday I can see some of the things I missed. Gorgeous photos! Hey Rebecca, thank you so much for your comment and compliment:-) I hope you get to go back one day and explore more of New Zealand! I solemnly promised myself I’ll go back, there is so much more to see! Oh my gosh, this is great! Thank you for making such a detailed post about what you did in NZ, it is really helping me plan our time there! Can I ask whether you thought the Pancake Rocks>Hanmer Springs>Kaikoura>Nelson route worked best to get from one side to the other or whether you would have changed it at all? 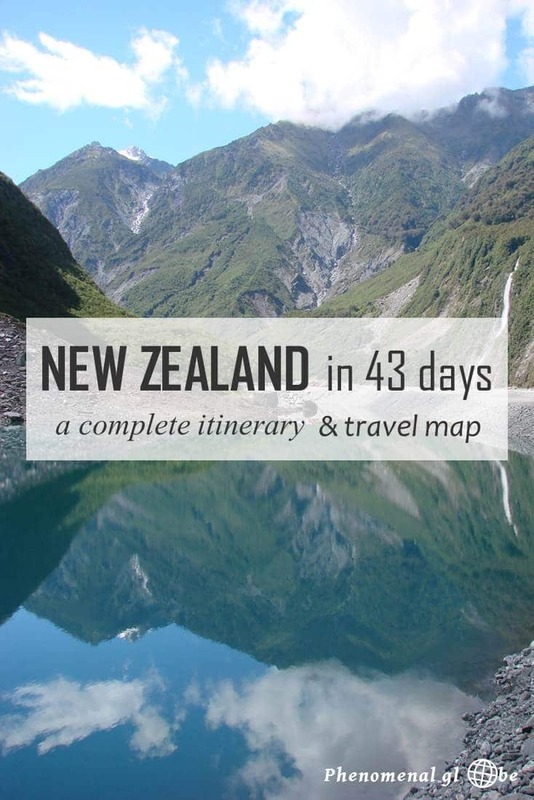 Glad I could help:-) How wonderful you are planning a 41 day trip to New Zealand! The route Pancake Rocks>Hanmer Springs>Kaikoura>Nelson was beautiful but it isn’t the shortest way. 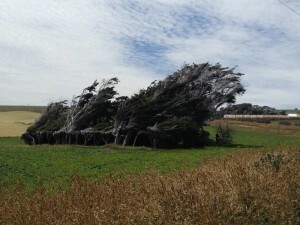 I think Pancake Rocks>Westport>Kawatiri>Nelson would be a good alternative. Plus, I have seen amazing pictures of Lake Rotoiti, so you might want to check that out! However, if you want to swim with dolphins or go whale watching Kaikoura is the place to be. Wow, I’ll definitely go sometime to NZ. Just have to wait my daughter is not at school anymore, or not joining us. What a great post! Thanks Carolien:-) I think it would be an amazing experience to go there with your daughter so it might be worth to wait until she can join you! New Zealand has been on my wishlist for a long time. If only they could pick it up and place it somewhere near Europe so that it won’t take such a looooong time to get there. Will definitely get there one day.though .. these amazing landscapes! Thanks for sharing your itinerary. Haha, yes it’s really far… Pretty much the other side of the world for us Dutchies;-) But totally worth it! How amazing to read your blog as we are planning our 42 day trip to New Zealand Feb-Mar 2017. Great job, lots of answers to my budget questions. Being retired, 60 and 70, and travelling from Canada, our pace will be a little slower and our route a little less extensive but will be sure to cover your highlights on North and South island. I’m sure our adventure will be even richer thanks to your great tips. What were your travel dates? 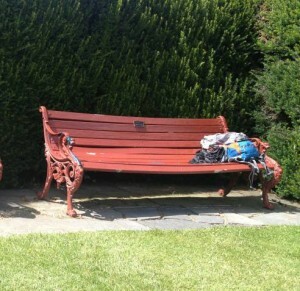 From your pictures I looks like NZ summer! Thanks and congratulations for a great inspiration! Dear Sylvie, thank you so much for your comment, it made my day:-). I am really happy to hear my itinerary is helpful to you! I wish you a great trip but knowing from personal experience how amazing New Zealand is, I am sure you will have a great time;-). My husband and I traveled around NZ in January and February, so summer indeed. We were quite lucky with the weather and had just a couple of rainy days. Have an amazing trip and let me know if you have any questions! Thank you Mara, happy to help:-). You really can’t go wrong in New Zealand, it’s gorgeous all around! Fantastic! You really have put so much thought and effort into this itinerary! I’m sure you’ll help plenty of people to plan their trips to this extraordinary country! I loved my time in New Zealand, and in fact, I’ve also written itineraries for both the North and South Islands! Many of the places I listed are also on your list here. Excellent post! And such great pictures too. Awesome you’ll be going to New Zealand in January! I’m sure you’ll love it… Great to hear you booked a van with Rental Car Village, I was very happy with our van and their customer service. When I accidentally bumped into another car at a parking lot I could easily reach them and they gave me detailed instructions about what to do to resolve the issue. I’m not sure about taking 2 hard-case suitcases, we always put our backpacks in the front seats during the night so it depends on how big they are… Hope this helps! 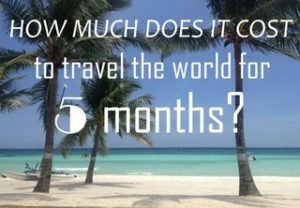 Let me know if you have any other questions and enjoy your trip! – When did you do your travels? – Also we are thinking about renting a car and staying at hostels/bnbs, however we may lose some time doing this as we will need to organise checking in with the hosts etc. Personally, I love the freedom of a campervan and sleeping wherever you want (IF allowed obviously). 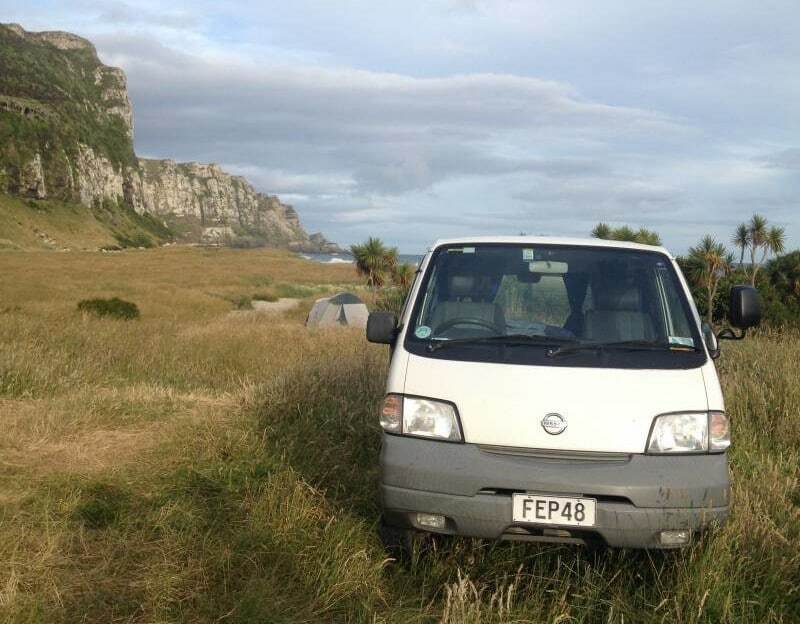 – How did you find driving a campervan on NZ roads? Really easy! The roads are good and our small campervan was easy to drive. Just remember to drive on the left side of the road;-). – Did you hire an economy camper from rental car village? Yes we did, in my article https://www.phenomenalglobe.com/the-ultimate-guide-to-renting-a-campervan-in-new-zealand/ you can read all about the van we rented and how much we paid. – And did you have to pre-book places at campsites? No we never pre-booked anything as we loved the flexibility this gave us. Loved your itinerary, I’m going to do the same! 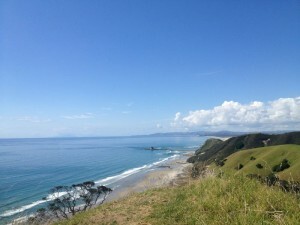 Thanks so much for this amazing blog, I am using it to plan my 6 week campervan trip to NZ in May! Was just wondering, we are starting in Queenstown instead of Christchurch, in order to get the best out of it all and cover everything (or most!) of what you did, would route would you recommend? We have to end up in Aukland. Don’t need a step by step itinerary or anything but would like your opinion on how we can best pick up your route. Wow Lotte! What a fabulous story. tips when we go October/November for six weeks. motor home which we are looking in to. We also don’t like to book ahead as we like to be free to go or stay. I wish I had your energy again to walk the places you have walked☺️ But I’m sure we will still enjoy our six weeks in beautiful New Zealand. Thank you for your kind words! I’m very happy to hear my itinerary will be an inspiration for your upcoming NZ trip:-) I wish you a wonderful time and I’m sure you’ll be able to explore plenty of NZ beauty, albeit with a slightly slower pace;-). Again, thank you for reading and happy travels!